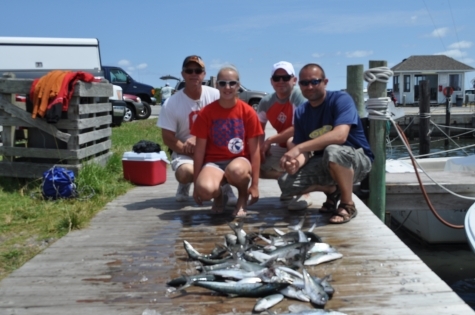 "Good fishing for our AM trip with Rob Walter & crew. Our PM with the Kenneth Sweat gang was much , much slower. 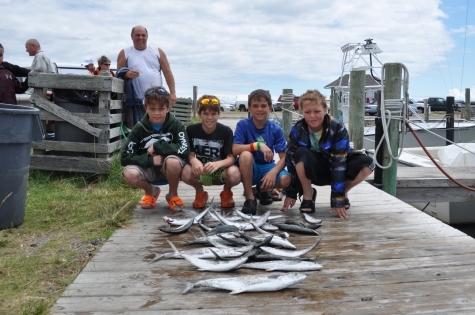 Thanks to all!Bobby"
"We've had pretty good fishing over the last several days despite alot of rough weather. 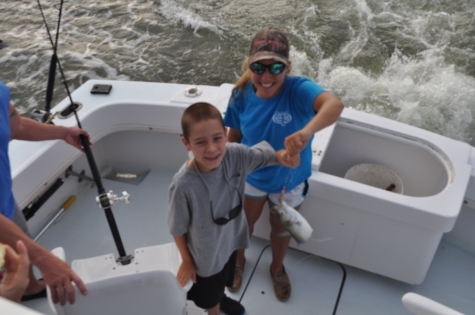 Halfdays have produced good catches of spanish mackerel, a few blues, and though much slower than a week ago,a scattered cobia every now and then. 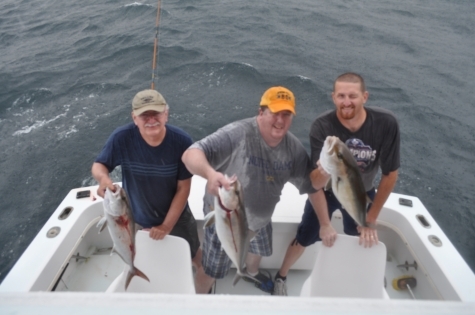 We also ran one allday trip that produced all of the amberjack that we could stand. 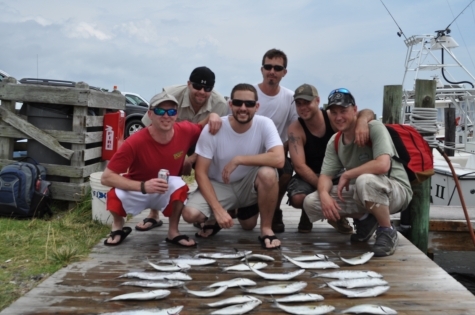 Our other allday trip we cut short because of rough conditions. 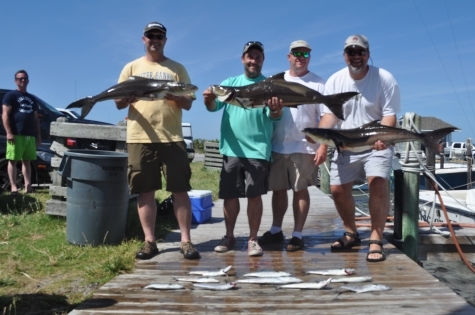 All in all, good to excellent fishing when we get decent weather. 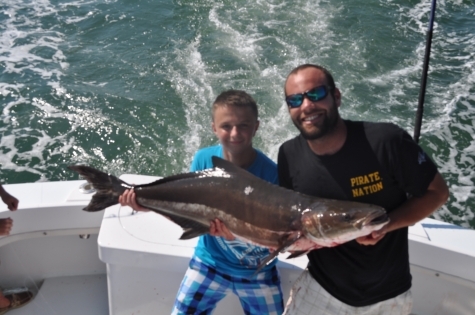 Thanks,Bobby"
"Patrick Sweeny and crew had great action on the amberjacks today,landing better than 20 fish quickly before moving on.We also landed an albacore & a few small trolling fish. Thanks again guys! Bobby"
Ocean was rough on todays trip so we made it a halfday. 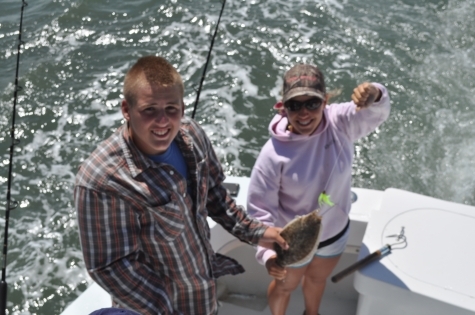 Picked out a few trolling bites including this small flounder. Big thanks to Tyler Arkell & crew! A big thanks to Greg Dalea & crew. We enjoyed having you with us! These guys do alot of fighting on those clark spoons. 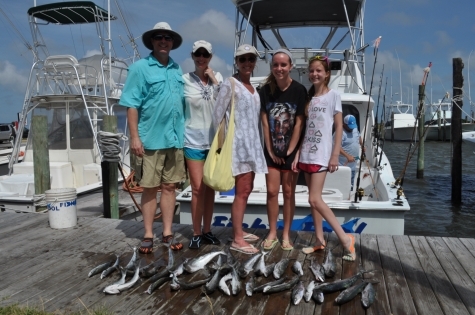 Heres Liberty Huffman & family with a grat catch of fish they boxed this morning. Thanks folks! 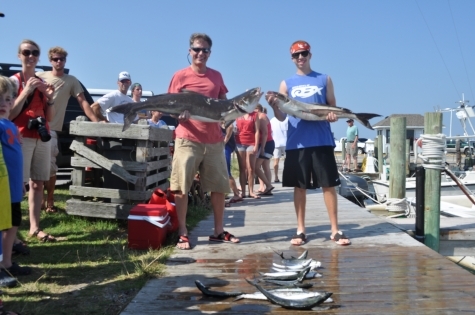 "Skip and his son landed three cobia for the afternoon ,along with a good catch of spanish mackerel. Good to see you guysagain,thanks! 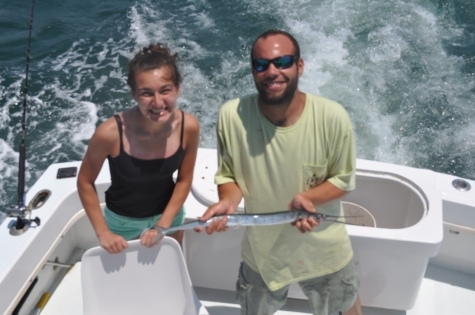 Bobby"
"We had a very enjoyable time catching these cobia (one was a 40 pound citation) and spanish mackerel, thanks to Captain Bobby, Zoe, and Elliott. 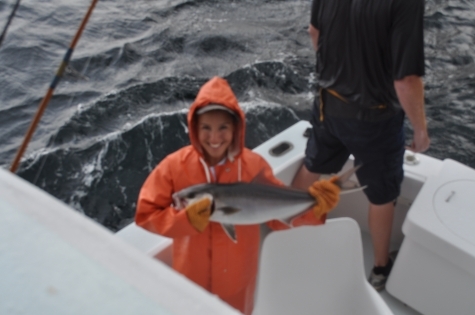 Your expertise helped to create a very memorable experience for Michael and I. We highly recommend the you!" "Skip , we really enjoyed our trip with you guys too. I'm glad you had a great trip. Good to see you and THANKS! 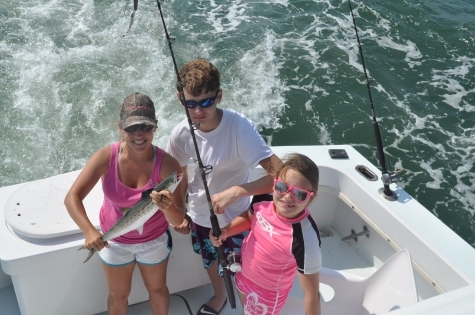 bobby"
"The Bill Powell crew also landed one cobia along with this fine catch of spanish mackerel. Thanks again folks,it was a pleasure! 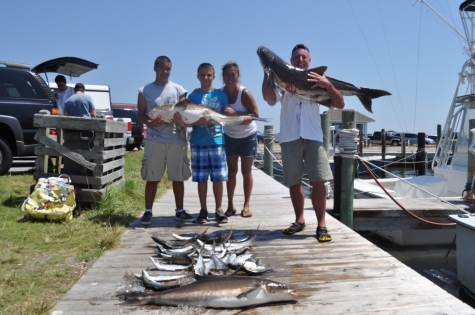 Bobby"
"Here is the Jessica Nobles crew with a mess of spanish & a smaller sized cobia the landed this afternoon. Thanks again guys,we enjoyed it. Bobby"
"I didn't have my camera on the 5th. 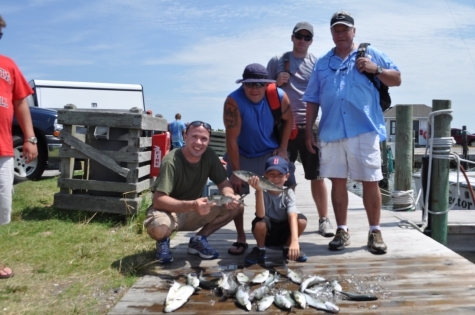 Adams Winters & crew in the am ,landed a good catch of spanish. 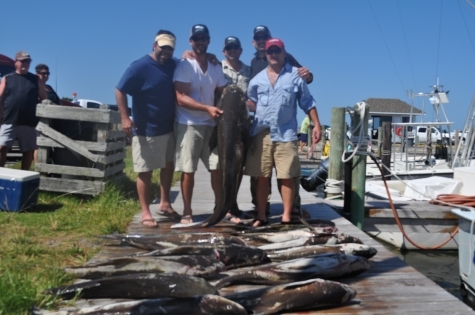 Our afternoon trip with Austin Setser produced blues and spanish along with three smaller cobia. Thanks to all! Above is our am group on the 6th, The Thomas crew. 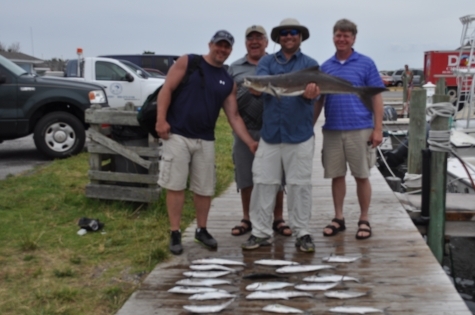 These guys kept a nice mess of spanish and releases one undersized cobia.Thanks again gang! 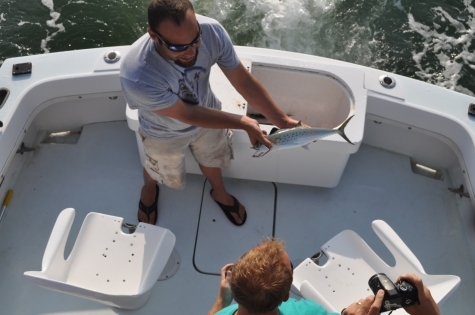 Bobby"
"Mondays trip with Mike Robuck and the guys was pretty tough. 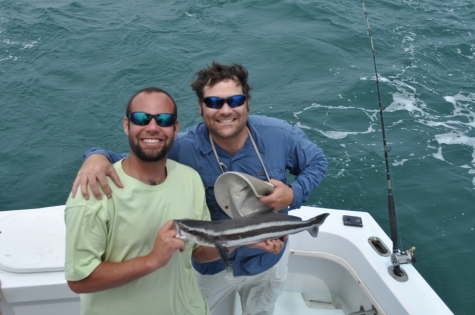 Poor weather for cobia fishing,or any fishing for that matter,with wind and rain. 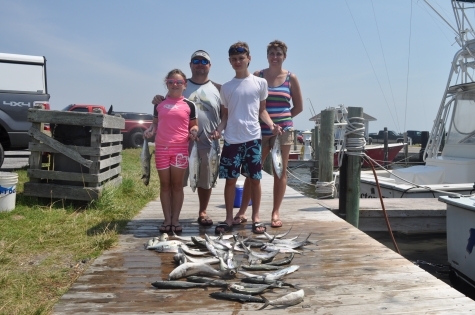 We picked out a few spanish mackerel before heading in early. A huge thanks guys! Today was quite a bit better for us. 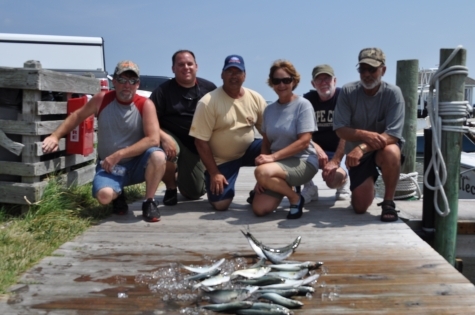 This morning we had Jim Kemper and crew. 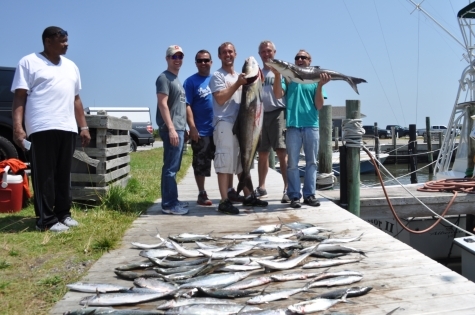 These guys had an outstanding trip, boxing 50 spanish mackerel along with two nice cobia.The largest was a fat 68 pound citation for Ryan Kemper. 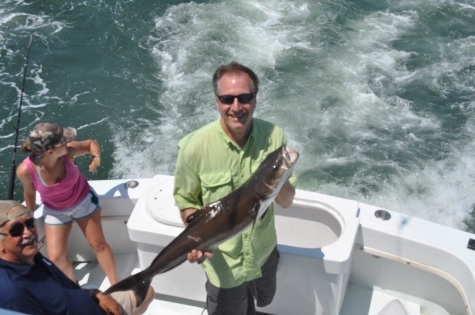 We also landed another small cobia that we released. Thanks again guys! 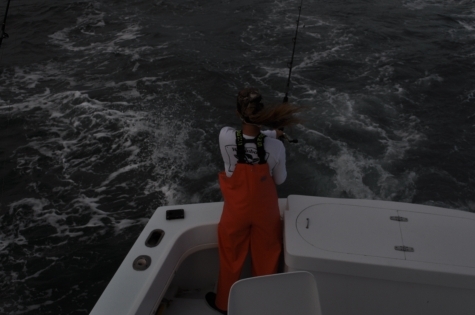 On our afternoon trip the wind really picked up to pretty choppy conditions. 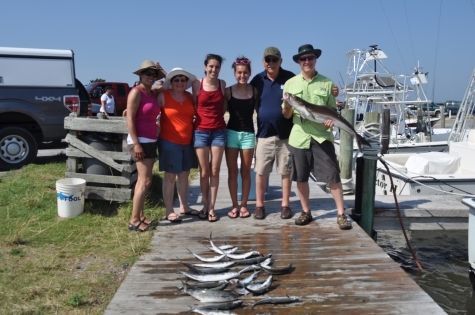 We still managed to pick out a catch of spanish ,a few blues, and two cobia for the Don Sharp crew before heading home early.Thanks to all! 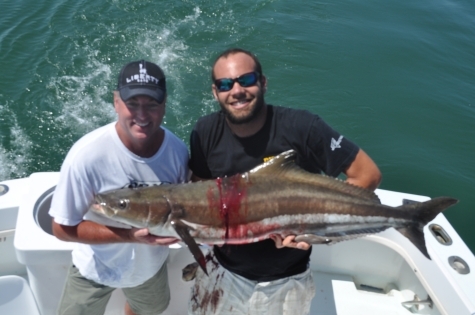 Bobby"
"Cobia fishing was a little tougher today but we still made out good. 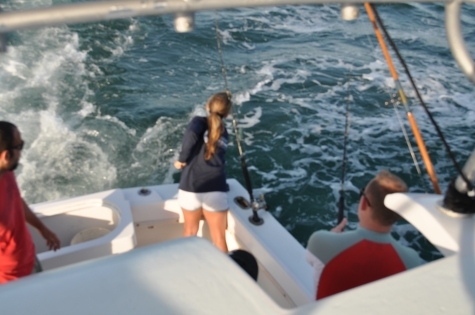 We picked out a small catch of blues & spanish first thing,keeping a few spanish for the table before putting away the trolling gear. We consentrated on the cobes but they were pretty picky at eating today. We saw 30 or more ,landing 5 for our crew. Thanks again Brian Constaino & the guys. We really enjoyed having you with us! Bobby"